1. According to the cartoon, which European countries were fighting for a position in Africa? 2. Based on the reading you just did, is the cartoon accurate? Does it really show what was going on at the time? Why or why not? 3. 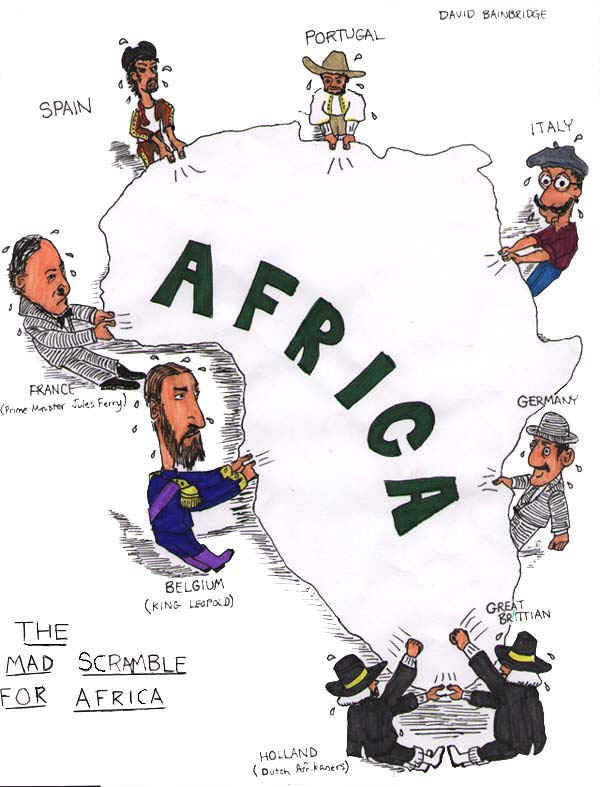 How did the Berlin Conference lead to the situation shown in this cartoon? 1. What is the main difference between the 2 maps? 2. What part did the Berlin Conference play in the creation MAP 2? 3. What happened to the independent African states by 1914? 4. 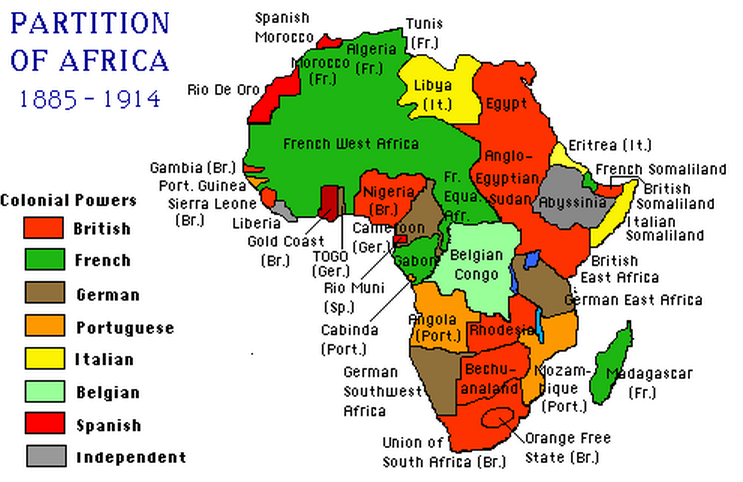 According to Map 2– Which 2 European countries held the most territory in Africa? 1. What percentage of Africa was colonized by 1913? 3. What percentage of Africa was controlled by the rest of the countries (excluding the 2 countries mentioned in #2)? 4. Think about it: Would the borders of colonial Africa (as represented by MAP 2 and the pie chart above) have been the same if there had never been a Berlin Conference? Explain your answer! Write a paragraph that gives several specific examples of how the current borders in Africa reflect the boundaries established by the European nations during the scramble for Africa. Also find & include some examples of how borders have changed since the colonial era. Why might these borders be responsible for some of the problems & ethnic conflicts that affect Africa in current times?